Today I have a real treat for you for the A to Z Challenge. You have all met my good friend and fellow author, Susan Matthews. 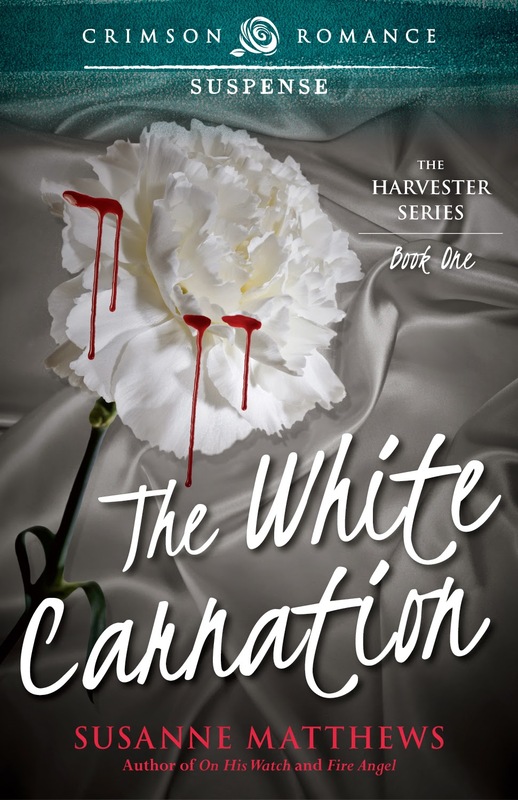 Well, she has asked the hero of her newest release, The White Carnation, Book One in the Harvester Series, Detective Rob Halliday to drop by for an interview. Rob is in the middle of a brutal case that honestly sends chills down my spine. He doesn't have much time to spend with us so let's get right to it. Nancy: Good morning, Detective. Thank you for joining me today. Rob: It’s a pleasure to be here, Nancy. Thanks for having me. Nancy: It’s always nice for my readers to meet a hero. Now, tell us a bit about your career with Boston PD. Rob: I started as a street cop. Eventually worked my way up to Narcotics where I did some undercover work, followed by a short term posting in Major Crimes and then four years ago, I did a stint in Vice. I was promoted to Homicide eighteen months ago. There isn’t much about Boston’s underbelly that I don’t know or haven’t seen. Nancy: I understand BPD is working a joint case with the FBI and you’re the liaison. Rob: That’s right. We’re working the Harvester murder case together. Nancy: (shivers) The Harvester is the most prolific serial killer around here since the Boston Strangler. How many bodies has he left for you? Rob: Three to date, but we’ll catch him. Every criminal gets cocky and makes a mistake, and when he does, we’ll find him. Nancy: I heard there are eerie details about the body, some kind of ritualism? Rob: You know I can’t answer that, Nancy, but I will say there are rituals involved in every serial killer case. They’re part and parcel of the killer’s MO. Nancy: I understand all of the victims had given birth shortly before their deaths. Can you comment on that? Rob: That’s correct. The medical examiner believed the women gave birth prior to their deaths and physical evidence indicates they nursed the infants. Nancy: Have you found the children’s bodies? Rob: There’s nothing to suggest the children have been killed. The theory we’re working on right now is that this is in part a baby mill, and the children are being sold for adoption on the black market. Rob: It is, but it’s a practice that’s been going on for years. Healthy white babies command the highest prices. The FBI has a task force working with Interpol and other overseas law enforcement agencies. If we can find the children, we’ll find the Harvester. Nancy: You don’t sound too optimistic. Rob: Well, the first child’s been missing a year. The more time passes, the harder it is to find a trail. Nancy: I see. One last question. Eighteen months ago, you were engaged to Faye Lewis, the former Boston Examiner Crime Beat reporter involved in that scandal. Rumor has it you had something to do with the story she filed. Rob: No comment. This interview is over. I have to go. Susanne did leave behind a blurb and excerpt of The White Carnation. I can't wait to read my copy and find out why asking about Faye Lewis had Rob running scared. Twenty minutes later, the unmarked police sedan pulled up behind the black and white outside the brownstone. The paramedics were parked farther along the street, just ahead of the police car, reducing traffic to a single lane. The coroner’s van pulled up behind them. Rob got out and approached the coroner. The White Carnation is available in e-book form from most major retailers. Visit my website http://www.mhsusannematthews.ca/ for direct purchase links to this and the rest of my books. I can't thank Susanne Matthews enough for twisting Rob Halliday's arm to give us an interview. If you have any questions for Susanne, Rob or her exciting new Romantic Suspense,The White Carnation, please just drop her a line in Comments before. Thanks for having me. Rob and I enjoyed our visit as always. I think we scared Rob off. LOL! I can't wait to get to know your hero and heroine a little better. Thanks so much for a wonderful letter W.
I thought you might feel that way. LOL!! Thanks so much for stopping by today. Thanks so much for stopping by today, Joanna! Excellent interview and chilling case for sure! I was on edge waiting for Rob's reply. I've got to know...was Fay a mother??? 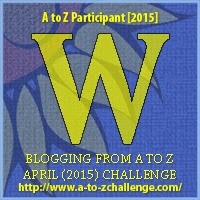 Hope you enjoyed taking part in the A-Z Challenge! I didn't get to visit your blog during the crazy month of April so I'm popping over today from the Road Trip.